Barman show performed by one bartender. An extremely spectacular and exciting show that will brighten any kind of event. If you need a bartender to make your show more attractive to your party, then report it to the professionals. Effective choreographies with a well-chosen soundtrack and pyrotechnic effects are an attractive spectacle for everyone. a bartending show performed by a bartender especially at a wedding. An incredibly spectacular and exciting show that will add splendour to your wedding party and will be an unforgettable attraction to all wedding guests. With each year, it is becoming a more and more popular form of making a wedding attractive and an untold surprise for a young couple and their guests. A bartending show performed by two bartenders. More juggling, more bottles and more drinks means more attractions. If one bartender is not enough, a tandem will make the show take on an unprecedented spectacle. Thanks to the choreographic elements which are only possible to perform by two bartenders, the show will turn out to be a unique experience on a daily basis. Open bar with a bartender. Bar catering is a great idea for any event. The variety of drinks and cocktails makes everyone will find something for themselves. The possibility of proposing your own compositions will please the fans of experimentation and will satisfy the tastes of even the biggest taste collectors. Wedding bar service. An exceptionally popular attraction for a wedding is the wedding drink bar. A bartender at a wedding is a way for a successful and well-remembered party. Colourful, fancy and, most importantly, delicious drinks and cocktails are an attraction for the guests who like sophisticated and original alcoholic beverages. Promotional actions and more attractive fairs. People who can professionally present a product and serve it so that it becomes desirable for all can be very helpful in promoting the product. Bartending service at fairs is a way to provide attractions for all visitors to the event. Arranging a bar for your party. Wide possibilities of customisation of bar facilities available for the event. Joint consultations will make you select your preferred alcohol and the menu of drinks served during the event. It is a way to effectively and economically organise alcohol supply base. Ice bar — an original and attractive idea for an event. A wide offer of bartending services cannot do without the eye-catching ice bars. They can be set up according to client's wishes. An outstanding look and a wide range of drink preparation will make no guest pass beside it indifferently. Bartending trainings and courses. 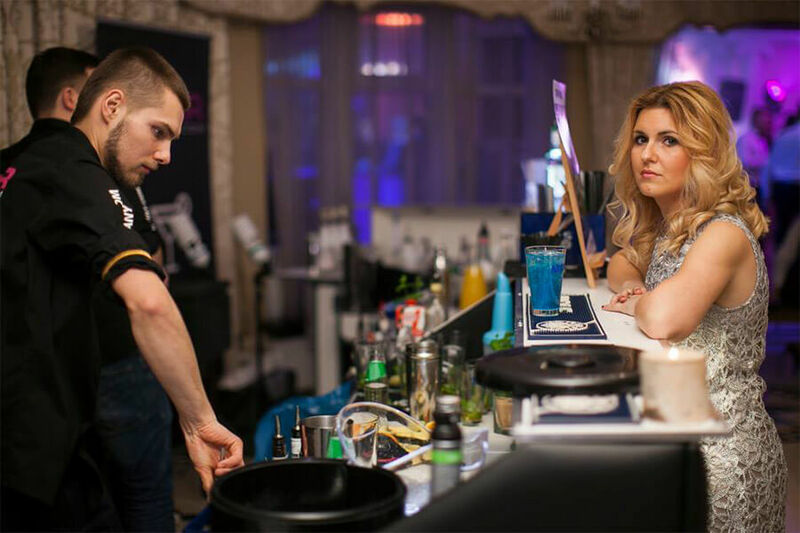 Bartending workshops specially for your guests. Comprehensive bartending trainings under the supervision of professional bartenders. The courses include the basics of mixology and FLAIR art, that is an effective drink-making behind the bar. CAFE ART barista shows. Apart from drink bars, coffee bars will work equally well at any event. An incredible aroma stimulating the senses and a variety of artistically served coffee types. Barista shows and live coffee brewing by professional baristas are the attractions for your party. Comprehensive catering service for events. Man does not live by bread alone but regardless of the event type it is worth to grab a bite to eat. 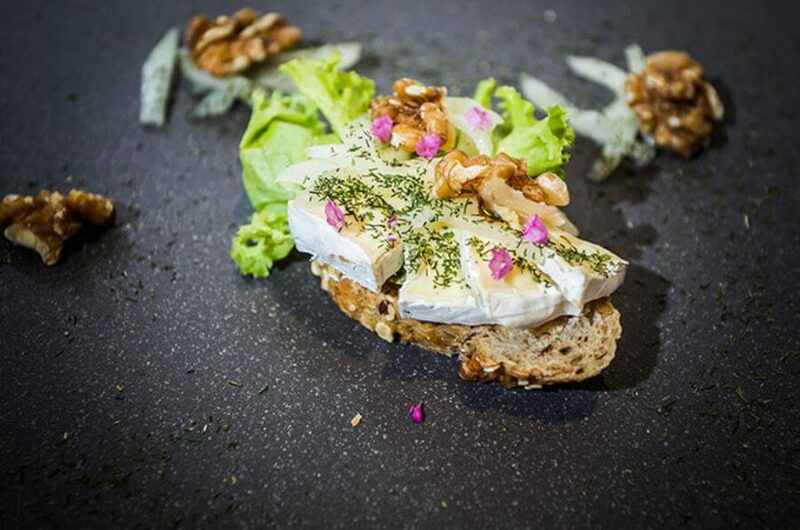 Delicious decorative sandwiches, healthy and nutritious salads and sophisticated desserts will definitely find gourmets among the event guests. Catering service for a wedding, banquet or christening. Alcohol and chocolate fountains are an attractive way of diversifying an event. A chocolate fountain, which will be a sweet surprise also for adult chocolate gourmets, is an inseparable attraction of any party for kids. Any bachelor or corporate party will be more attractive thanks to alcohol party. Hostesses and barmaids for events. It is no secret that beautiful women make the products they advertise more appealing, and the events highlighted by their presence are more popular. Professional models and hostesses will raise the prestige of your event only with their presence.